Jamaican Blue Mountain Coffee is said to be the best tasting coffee in the world. It has a special taste all its own. And I agree. Coffee was introduced to the area in 1728, its cultivation spread throughout the blue mountains range, where the Great Houses you see here were plantation homes built during the 1800 to 1840. The coffee is grown at Blue Mountain Peak that is at the most eastern end of the beautiful island of Jamaica and is the highest point in Jamaica, where the cool misty condition mixed with rich earth and wild ginger flowers is where Jamaica blue mountain coffee is grown. It is grown high on the blue mountain ranges, that are also the tallest mountains on the island of Jamaica. The peak of the blue mountain is a rounded hump amid a series of other almost equally high mountains. The range is about 28 miles (45 km) long and is about 12 miles (19 km) wide at its widest point. The optimum soil and climatic condition combine to produce the finest coffee with an exceptionally fine flavor, and is very much sought after in the world. This world famed quality coffee bean, the arabica bean, that is of a blue green color after the outer shell is removed, is grown in a designated area of the Blue Mountains and is very flavorful. I heard that Ian Fleming, the noted novelist of the James Bond series, who lived part-time in Jamaica, would not allow his literary hero James Bond to drink any other coffee. Because of the rainfall pattern, the cool misty mist conditions, mixed into the rich earth, the best condition for the cultivation of the world's best tasting coffee to be produced. The coffee has good acidity, with a clean full body taste with an intense aroma that comes from the type of color the beans are. The cherry ripe completely red berries are hand picked and floated in water on two occasions before processing. Our blue mountain coffee berries are only made from top quality beans that have gone through extensive examination and elimination process. If the beans are not of high quality they are discarded especially if they are underdeveloped or have insect damage. The Coffee Industry Board grade the beans according to certain verified characteristics and also according to size, that are sorted as Grade I, Grade II, Grade III, and Peaberry beans. A Peaberry bean is a closed bean. Next the beans must past stringent tests, with one of the test done by hand, where every bean is examined, and the other test is the coffee's taste, body and color. Get a taste of this great tasting Jablum Jamaica Blue Mountain Coffee, Ground, 16 oz bag - a true Jamaican gem. 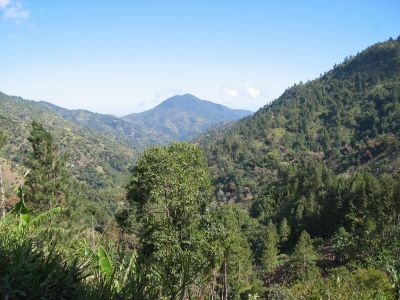 There are other types of Jamaican coffee known as High Mountain Blend or Low Land and this depending on their origin. These are grown at a lower altitude. It is a good tasting cup of coffee, but not like the legendary Jamaican Blue Mountain Coffee. But you can click on this link and purchase Jablum coffee or purchase other fine Jamaican coffee here today. Then Aspen wood barrels are filled with the highest quality of Jamaican blue mountain coffee beans the blue mountain peak has to offer, that is then certified by the Jamaica Coffee Industry Board. You can tour our coffee factory, that is located at the Mavis Bank Central Factory where tours by appointments are available. Observe for yourself how this exceptional tasting coffee is made and packaged. Have you tasted our Jamaican Blue Mountain Coffee? Tell us your thoughts.. is it truly the best tasting coffee in the world? Coffee Connoisseur we would like to hear from you.